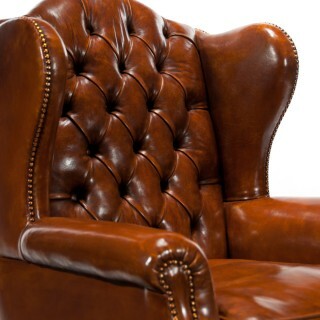 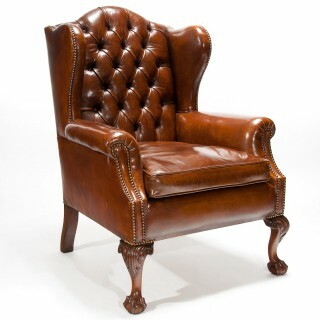 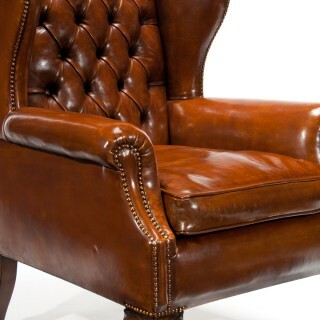 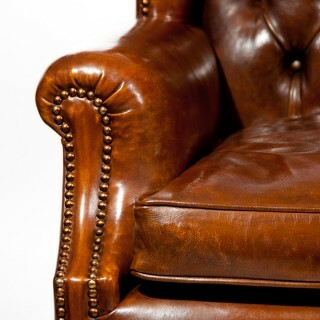 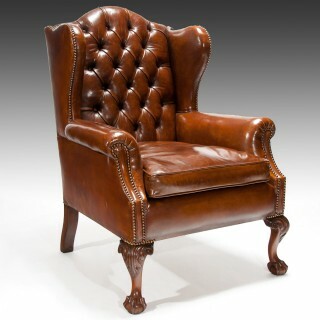 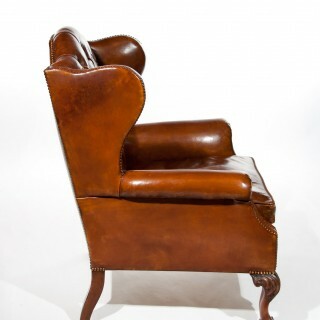 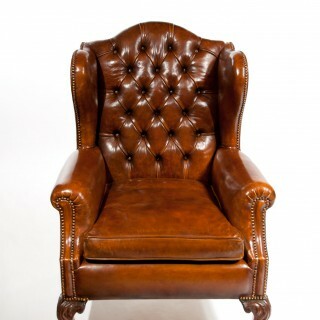 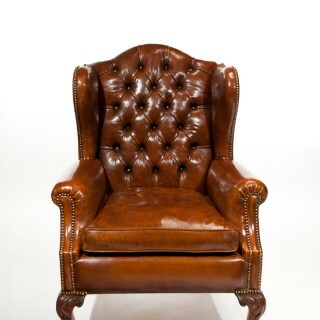 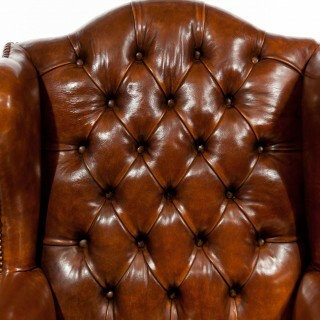 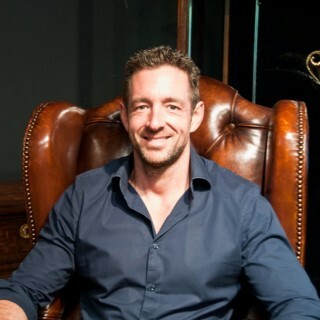 A very good quality mahogany leather upholstered wing back armchair of good proportions dating to circa 1880. 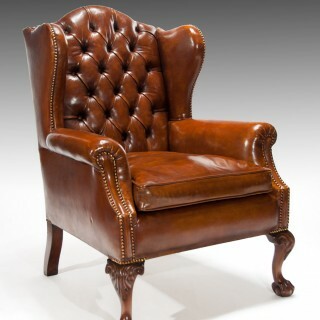 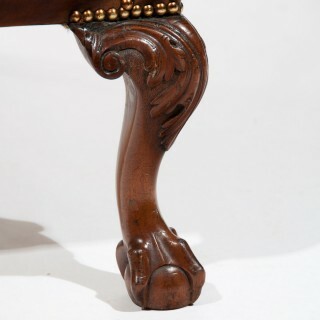 This antique leather wing chair is of fine quality and shape with good wide proportions having a feather cushion seat and carved mahogany front cabriole legs with acanthus leaf carving to the knee terminating on ball and claw feet . 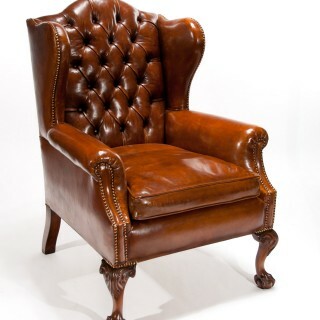 The wing chair has a finely deep buttoned shaped back and winged sides the arms scroll outwards with a good sized feather cushion making this armchair very comfortable indeed. 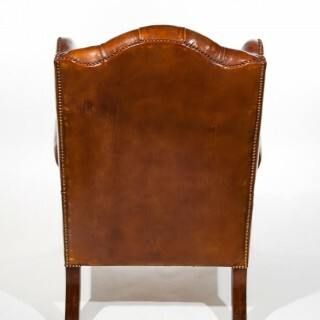 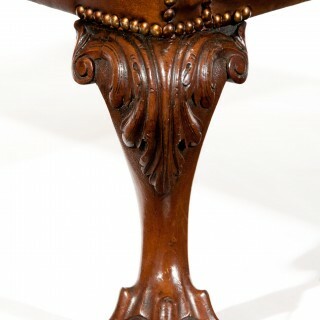 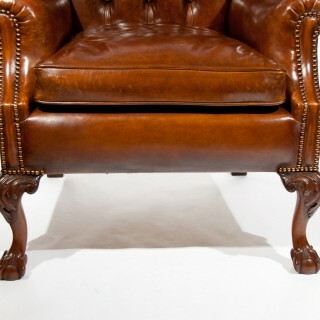 It has a nailed finish surround and swept back legs fully upholstered in a hand dyed tan leather. 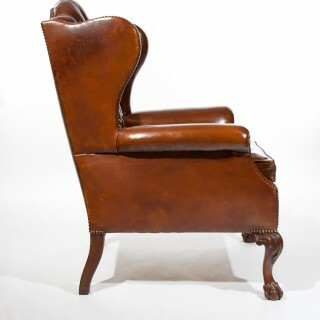 In first class condition this well proportioned wing chair will make a statement in any home.